GAUCHO - Gaucho Leeds (full review here) - Well, I cannot fault this place. 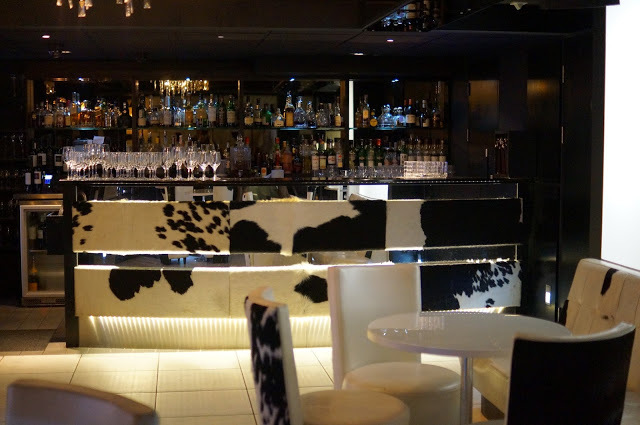 If you read my blog a lot, you’ll know just how much I adore Gaucho, it’s my point of comparison for most restaurants because their service is of such high quality. I feel like most restaurants need to learn from Gaucho; they’re attentive, professional but friendly too. Gaucho is great if you’re looking for high end food (they serve the best steak in Leeds, hands down) and don’t even get me started on their chorizo. This high end restaurant serves top quality food, in a glamorous restaurant but it’s also very comfortable. 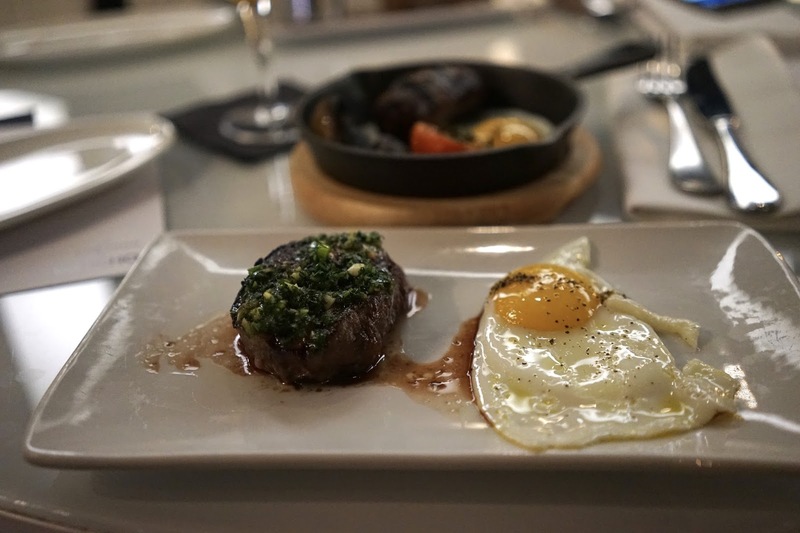 With this blog post, I wanted to highlight Leeds restaurants which are more independent but Gaucho Leeds feels independent because it's different to any other Gaucho I've been to. The first time I went, I ended up sitting in there from about 7pm until 11pm. It’s the kind of place where you can start with amazing cocktails, then move into the restaurant for a really chilled, long three courses with no pressure to rush. Gaucho is all about the experience and once you go Gaucho, you’ll never want to go anywhere else. ANGELICA - Angelica is mentioned further down on the bar list as it's both a restaurant and bar. From morning until the early hours, this is the place to be. Angelica serves the best breakfast, brunch, lunch and dinner. 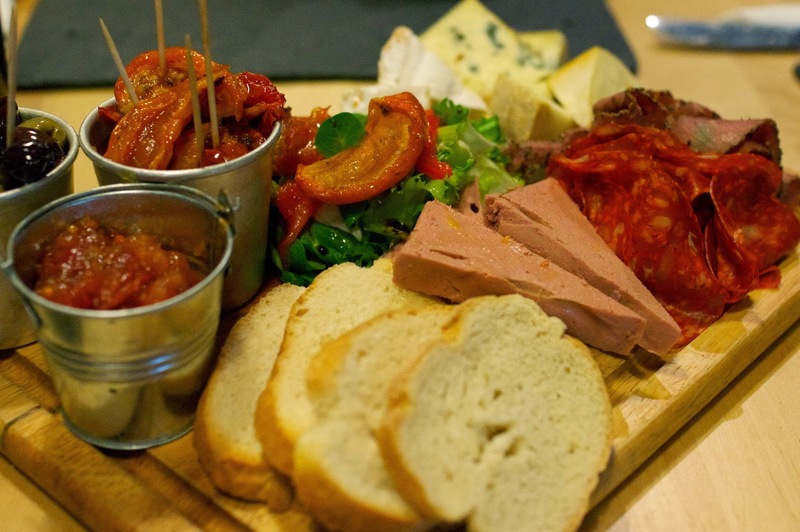 It's easily the most luxurious and best bar in Leeds, but the food is worth a shot too. A definite special date night location, the lobster is a must have and the boys always opt for the burger. 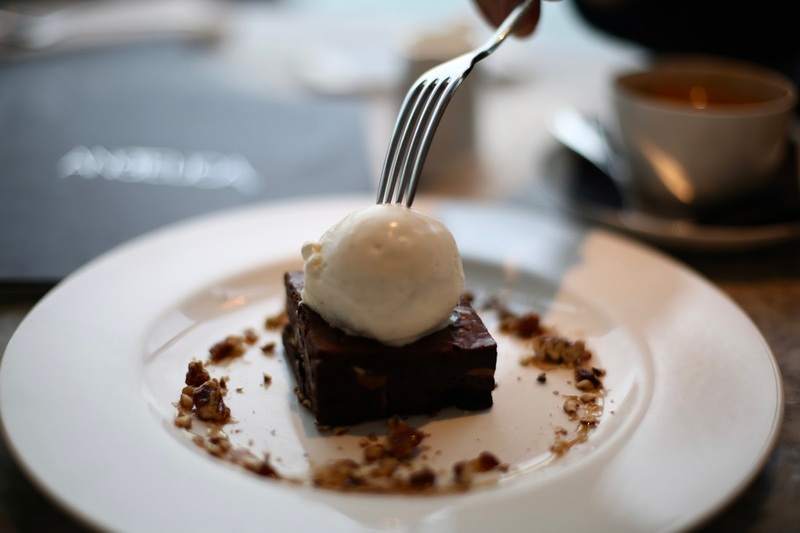 Whether you're heading for a cocktail with the girls, a coffee and a brownie with your Mum or, simply having a special date night at Angelica, it certainly wont disappoint. The roof terrace is truly divine, in both Winter and Summer (thanks to their outdoor heaters and beautiful faux fur blankets) and the roof top, skyline views of Leeds make this place seriously stand out from the rest. The service is amazing too, it's definitely one of my absolute favourite places in Leeds. If you're looking for somewhere Instagram worthy too, Angelica is definitely for you. Marble tables? Hello! ROAST & CONCH - Roast And Conch Leeds (full review here and here) - Roast And Conch is one of my favourite Leeds restaurants because it’s different. It’s owned by Hotel Chocolat, my favourite chocolatier so obviously, I knew a restaurant from them was going to be next level quality-wise. When I’m spending good money on food, I expect high quality and that's exactly what you get from Roast And Conch, they serve the highest quality ingredients in the most bizarre and wonderful ways. It's a contemporary Anglo-West Indian themed restaurant - imagine St Lucia kinda tropical themed dishes with a hint of Yorkshire in there for good mix. 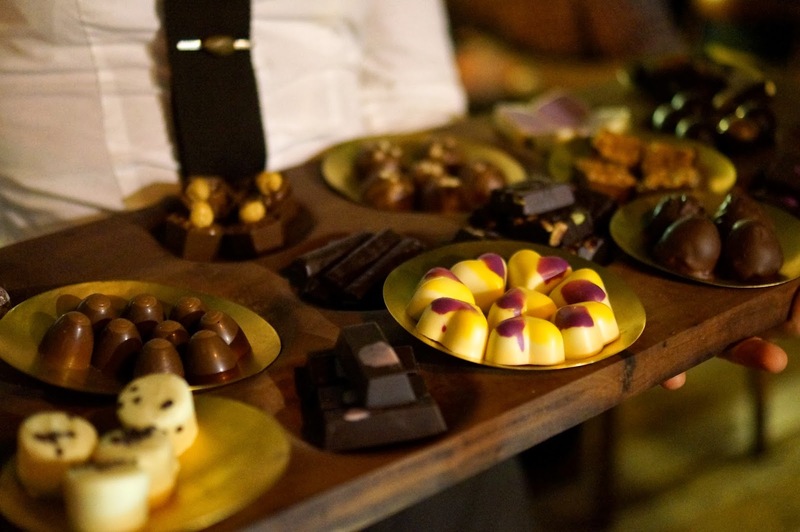 Everything in the restaurant revolves around the cocoa bean and again, this restaurant really is an experience. Naturally, the desserts are my favourite part. Don’t even get me started on how good the chocolate cocktails are too. You can always pop in just for a hot chocolate and some cocktails, make sure you go! FUJI HIRO - Fuji Hiro Leeds - If I had to rank, I’d probably say this is my favourite restaurant in Leeds because nothing else compares to it. I have been visiting Fuji since I was a 5 year old child, my Mum used to work really close to it and as a treat, she’d take me and my brother when we went shopping in Leeds with her. They were the best days. Fuji is Leeds biggest secret and I kind of don’t want to give it away but actually, at the same time, I want everyone to know about it and go and give them the trade they deserve as recently a rival has opened next door to them! From the outside, it looks bland, from the inside, it’s bland and in need of a lick of paint, this is probably the most causal place you’ll ever go but it’s my favourite date night destination purely for the food alone. If you want to make me the happiest girl in the world, take me here basically. Fuji Hiro is Japanese, it serves up traditional Japanese dishes and I’ve tried pretty much everything on the menu and you can’t go wrong. It’s run by the two cutest owners ever and I remember the exact same people serving me since I was around 5 years old. I’ve eaten here 5 times in one week before, it's really that good. You know it’s good when the staff at Wagamamas tell you they prefer it to Wagamamas! You’ll never want to go to another Japanese again when you try this authentic, fresh hidden gem. ZAAP THAI - Zaap Thai Leeds - Not too far from Fuji, is Zaap Thai. Zaap Thai is a pretty recent addition to Leeds but one I have welcomed with open arms. I’m a lover of noodle dishes (and all things tempura) so count me in where thai food is concerned. Zaap is always rammed, people queue out of the door and I know why; ridiculously affordable, delicious, quick and authentic Thai food. You can’t beat this place. It’s great for a date night too as it isn’t too casual, you can make it casual if you want or you can go for a date night and have a few drinks there too. SALVOS - (full review) - A Leeds institution - Salvos, famous for their fresh Italian food. If you’re a lover of authentic Italian, head here and nibble away. I love Salvos because it’s family run, it’s aways bustling, it’s romantic but it’s just a really nice place to visit. The price is mid-range, pretty standard for an Italian but what gets me is the quality of the food. It’s such high quality and with every bite I’m like ‘yum yum yum’. BIBIS - Another one of my favourite Leeds Italians. This place does not get enough publicity. I’ve been visiting Bibis for special occasions for a long time. Recently, I haven’t visited (probably for round two years now) purely because I tend to opt for more quiet locations where you can actually catch up. BIBIS has a crazy good atmosphere, it's loud and extravagant so you have to be in the mood. See it as Leeds answer to The Great Gatsby. I love it because the service is amazing and you can get really dressed up to visit, just be warned, it is very loud so probably not too romantic! 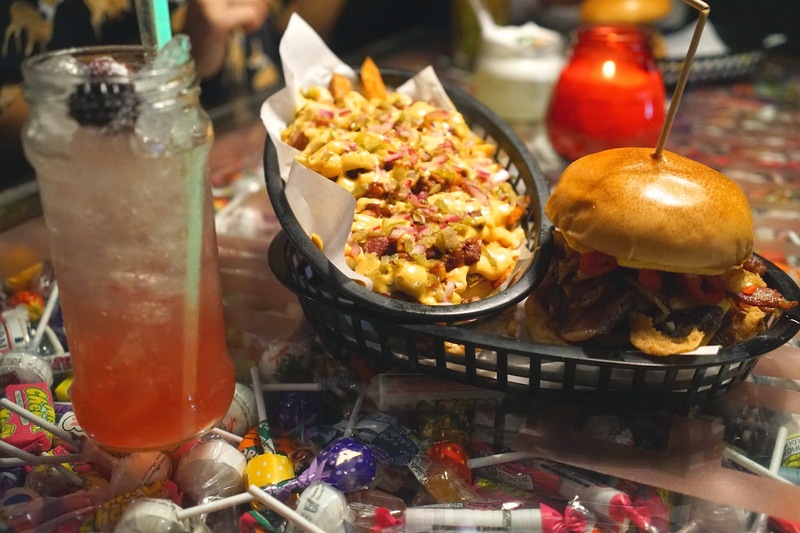 ALMOST FAMOUS - Almost Famous Leeds (full review here) - If you read my blog a lot, you’ll know I’m a sucker for burgers. The best burger in Leeds? Well, there’s not contest: Almost Famous wins every single time. The best burger in the world? Well, I’ve tried MANY burgers around the world (New York, Miami, Mexico) if there’s a high-ranked burger, I’ve probably tried it, but actually, Almost Famous still sits up there pretty high in the ranks. This is a really fun restaurant with no limits, think oreos and mac and cheese deep fat fried on top of your burger. They’re like the mixologists of burgers and that’s totally okay with me. Their fries though? They’re on another level. CIELO BLANCO - Cielo Blanco, Leeds - Leeds was crying out for a good Mexican restaurant (I really don’t think good Mexicans exist in Leeds whereas in Canada, we had them everywhere). Cielo Blanco is basically my second home. I wish they’d give me some kind of staff discount card because I may as well work there. I eat there at least once a week and it’s because it’s so blooming good. It took me a while to ‘get’ Cielo, I’m very much a standard kinda Mexican lover, give me guac, fajitas and nachos but visiting Mexico (read about my Mexico trips here) made me realise that actually, that aint authentic at all. Cielo is authentic Mexican street food and I love it. It’s also super Instagrammable. 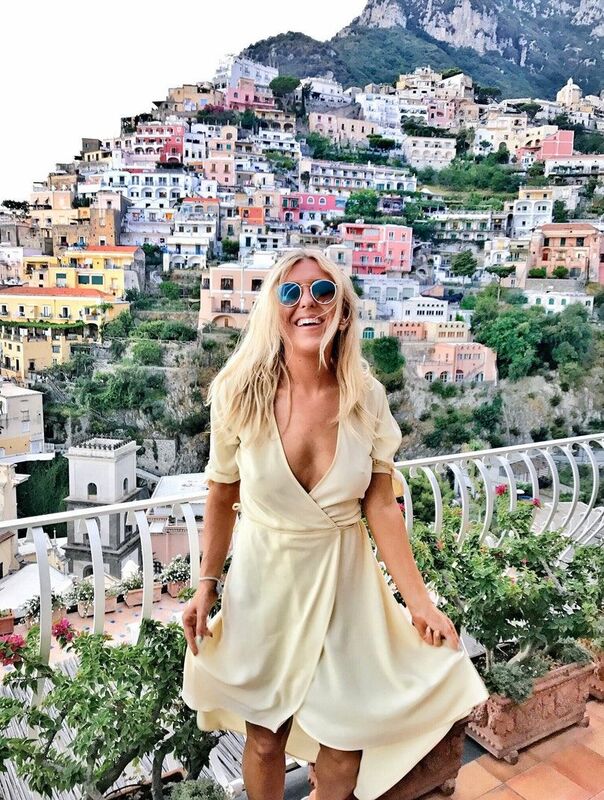 There’s a complete lack of Instagrammable places up North. Trust me. Must try: The chicken board, a whole chicken which comes with wraps and loads of veg, rice and dips, tada, make your own fajitas! NEON CACTUS - This is the baby of Cielo Blanco, also owned by them and known as more of a bar but actually, I recently went to try their food and gosh it's good. I ordered pretty much the whole menu and fell in love. I cannot wait to go back. It's really quiet and romantic before it turns into a loud bar at night so I'd definitely recommend going mid-week at around 7pm for chilled, yummy vibes. Their drinks are the best too. HEPWORTHS DELI - Strictly speaking not a restaurant but I can’t get enough of Hepworths. If I have to take someone for a really yummy, different lunch, I always go to Hepworths. Locally sourced, high quality food, which is always beautifully presented and the owner is so passionate about what he does. I would rather pay him than a big corporation. The position sizes are always massive too. Oh and don’t leave without trying the cake. It’s tough to choose. Diet or no diet, I always leave with a big piece of cake in my arms. ORNAISE - Another hidden gem but one for you if you’re up in the Hyde Park area of Leeds. Ornaise is my go-to, affordable Moroccan. Think healthy, grilled chicken on flat breads with yummy seasoned rice. The service is always way too slow, but if you can cope with that, you’ll love this place. FAZENDA - Fazenda is hands down one of the best restaurants in Leeds if you're a meat lover. Every time you ask someone where they should eat in Leeds, they say Fazenda. It's incredible. It's beautiful inside with incredible service but wow the portions. You basically sit and meat is brought to you and cut right infront of you, you eat as much as you want. The buffet is to die for too, it's hard to get the right balance between buffet and meat and I always end up filling up on the buffet first! This isn't your standard all you can eat, it's a high class meal which I cannot recommend enough. PINTURA - Last but not least, a new one. Pintura. 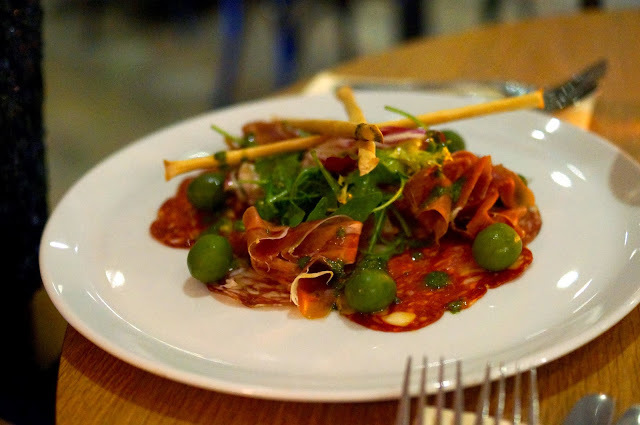 Pintura Leeds is an epic tapas style restaurant. I am yet to find (until now) a good tapas in Leeds and I'm massively into tapas. Pintura ticks all the boxes, it's dimly lit, with incredible service and even better, authentic, fresh food. Plus, their gin bar is heaven. If you eat somewhere this weekend, make sure it's Pintura! Pintura - Pintura is just incredible, it’s like a little hidden gin bar that people forget about. If you like gin, go downstairs and you’ll have near seen as many gins in your life. I’m a little bit obsessed with their elderflower gin. Angelica - Angelica is easily the best for unrivalled views of Leeds. In Summer, the Angelica terrace is my hang out, with a bottle of wine with the girls or a cocktail with my boyfriend. I love the bright white, modern vibes in Angelica. I’m gutted they changed their food menu. I used to love it! Alchemist - The Alchemist is great if you’re wanting a cool cocktail made, they basically fire up in front of you and go all smoky. It’s like mixology at its finest. I’m a little bit bored of it now as the novelty has worn off but it’s certainly a really cool place to go for a night out with the girls or a date night. They do lovely food too although I’ve heard most of it is frozen from people who work there so can’t comment on the quality, their side dishes and cocktails are my favourite though. MOOK - Mook is one of my favourite affordable places for drinks. I like it because it’s always quiet. Cocktails are usually on 2 for 1 and whilst they’re not the best cocktails you’ve ever had, I like it because you can go and sit in a dimly lit corner and just chat the night away over a cocktail. Oporto - Oporto is one of the first bars I ever went into, I love the decor (think rugged, wooden with candles on all the tables), it’s rammed on a weekend but mid-week it’s such a nice, chilled location for drinks. Jakes - My Saturday-night go to. Jakes was the first bar I ever went to. The music is amazing, some times it’s RNB and sometimes its old school anthems but everyone always seems to be in there. My only issue? You get no signal under there so I can never use my phone! I hope this helps you if you live in Leeds or if you ever visit Leeds! Have you visited Leeds? Do you like the sound of any of these? Where do you like to eat?